UC Berkeley researchers link prenatal and childhood exposure to PBDE flame retardants, a prevalent chemical found in households, to deficits in motor and cognitive development among school-aged children. The new study, published today (Thursday, Nov. 15) in the journal Environmental Health Perspectives, focuses on PBDEs, or polybrominated diphenyl ethers, a class of persistent, endocrine-disrupting compounds widely found in foam furniture, electronics, carpets, upholstery and other consumer products. The chemicals easily leach out into the environment and are inhaled or ingested through dust, then accumulate in human fat cells. 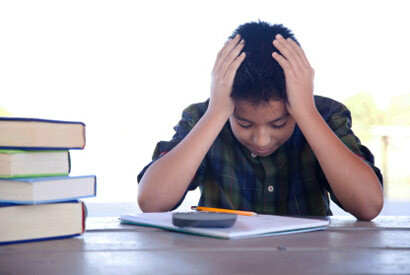 The children participated in a battery of standardized tests when they were 5 and 7 to assess their attention, fine motor coordination and IQ (verbal comprehension, perceptual reasoning, working memory and processing speed). Mothers and teachers also completed assessment questionnaires to help evaluate the children’s attention skills and behavior. 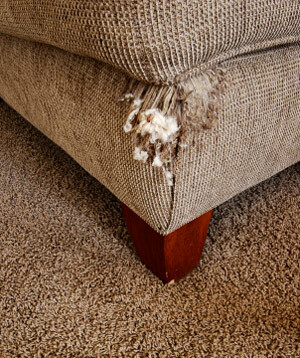 Flame retardant chemicals can leach out from upholstered furniture, particularly if the foam is exposed through rips. CERCH has also posted information about PBDEs online.